Pakistan is often referred to as “the land of pacers” among cricket fans as the nation has produced world-class fast bowlers and legends like Wasim Akram, Waqar Younis and Shoaib Akhtar. Mohammad Amir, who is also dubbed as the future pace sensation, is another seamer from Pakistan to look forward to. Amir rose to overnight fame after he dismissed Indian skipper Virat Kohli in the final of Champions Trophy 2017. 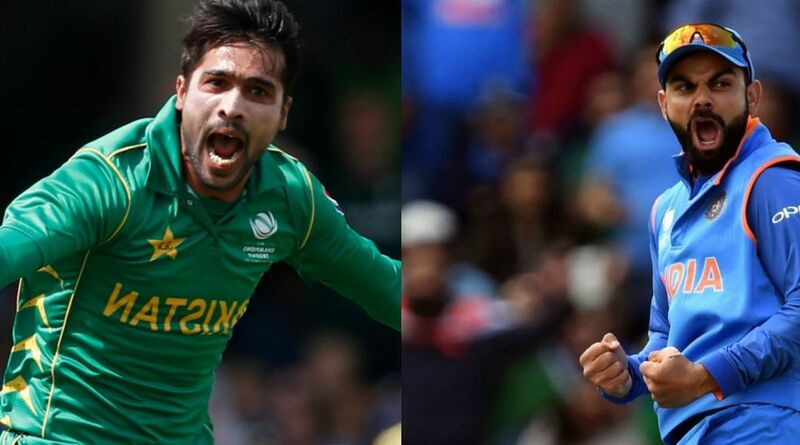 Speaking to Voice of Cricket show recently, Mohammad Amir revealed how he planned Virat Kohli’s dismissal. “When Virat Kohli came in, I had bowled an inswing delivery and he was beaten. Rohit Sharma was also dismissed off an inswinging delivery too. He was dropped earlier and I thought if he stuck around, he will take India towards victory. So I prayed to god for his wicket and the next ball I got his wicket after Shadab Khan took a brilliant catch,” Amir said. In the CT2017 final, Virat Kohli was dropped by Azhar Ali on Amir’s bowling at the score of 5 runs on the third ball of the 3rd over. However, on his next ball, Amir got his prized wicket after Shadab Khan took a blinder at backward point.